BT Sport are after feeling the ire of some Manchester City supporters who have called on people to boycott the sports channel. BT published an ad on their YouTube channel which featured a song usually sung by Manchester United fans which is less than favourable toward the Blues. The advert, called Christmas has gone all footballly, features Christmas Carollers knocking on a man's door and singing football chants in the style of carols rather than the expected Christmas favourites in order o promote the festive fixtures BT are televising. The carollers begin with Chelsea fan's version of Jingle Bells which they sing to celebrate away wins. A number of other chants are featured including City's own Let's all do the Poznan where the carollers sing with their backs to the gobsmacked homeowner. However, the final chant is the one that City supporters have taken issue with and the carollers deliver a song called Be a City Fan which United fans traditionally sing to stick the boot into City fans. The lyrics of the chant go as follows: "My Grandfather said be a City fan, I said f**k off, b*****s, you're a c**t and a t**t." and in the ad all the expletives are bleeped out. 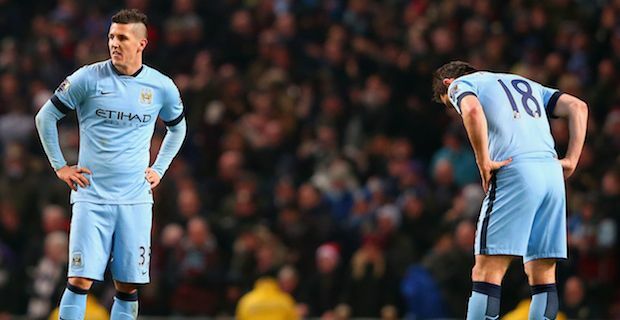 Manchester City fans have been vocal on message boards and Twitter over the inclusion of the chant with some going as far as wanting a total boycott of the channel and other fans to cancel their BT Sport subscriptions.